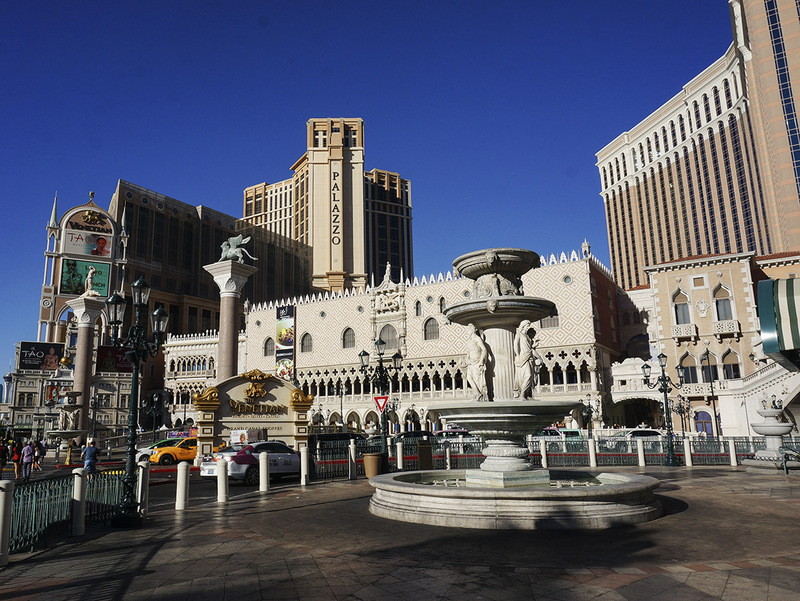 Las Vegas or Sin City is one of the most touristic cities in the US. It is the place to be if you like to party or shop or eat, or all of them. 😀 The word boring is not something that will come out of your mouth during your visit. In fact, the problem will be that there are so many things to do, so many places to eat at, and so many things to see that you wont know what to choose. My weekend was packed and it went by so fast that I wish I could have stayed one or two more days to do and see everything I wanted to. I bought online, more than a month in advanced, all the tickets for parties and shows, which turned out cheaper and guaranteed my entry and in a special faster queue. Super important for clubs! Because when it´s already full even with a ticket you are not allowed in anymore. The first day was busy, busy! Landed around lunch time, so of course I was starving to death and needed some food ASAP (emoji laughing with a drop of sweat that I couldn´t insert). So we, my partner in crime Mr. H and I, ran to our hotel, the New York-New York. Btw the airport is very close to the touristic area, which is mainly one street –Las Vegas Boulevard, also known as The Strip. When checking in, which is very quick, you´ll have to pay for the “resort fee” if you didn´t already when booking. It is compulsory to pay it, which for me felt like a complete scam since it is for a bunch of useless services… included property-wide high speed internet access in public spaces and in-room (only useful for those of you whom are not addicted to your phones haha… but for the rest of us, you can go to T Mobile and get a SIM card for $30 with 2GB of data and 1,000 mins in the US) unlimited local and toll free calls, airline boarding pass printing, and notary. After check-in we went for quick lunch across the street from our hotel, for some good old American fast food. Mr. H is quite the fan of broasted chicken (roasted and then breaded), so the unequivocal choice of food was Popeyes. If you are a French fry fan, make sure you try those! They really are the best ones from all the fast food chains out there. 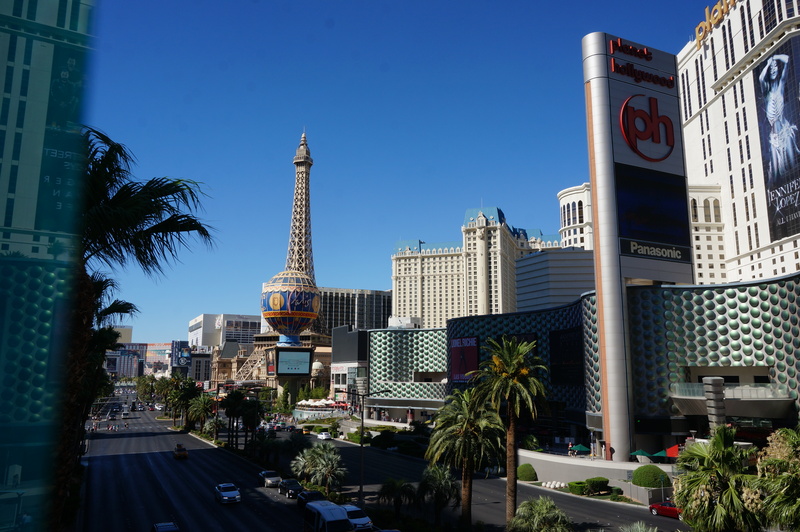 Our mission for the day was to walk The Strip and visit the most iconic hotels. 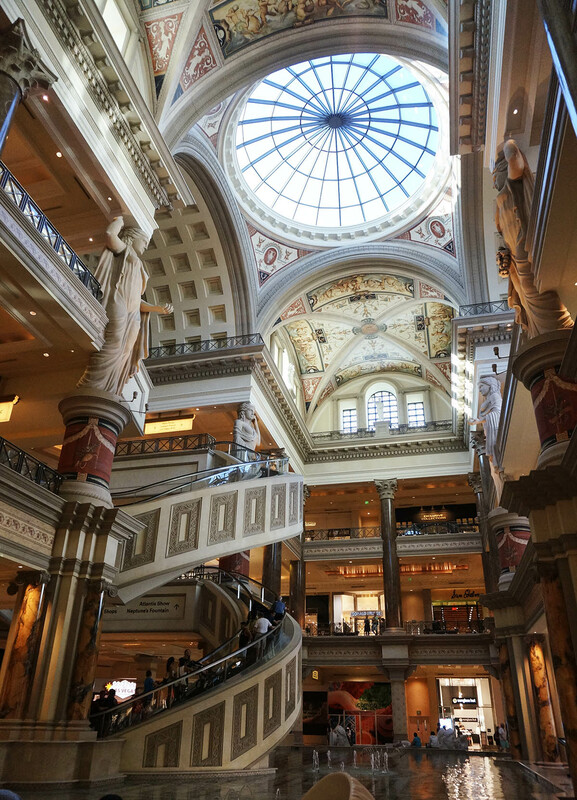 All of them are quite unique in décor and offer many things to eat, buy, see or do besides the casino related activities. My favorite hotels are The Venetian, Wynn, Paris, The Bellagio, New York-New York, and Caesars Palace. Also don´t miss the free shows/exhibitions that some hotels offer, but do check the times before showing up. There are the Bellagio´s fountains, Bellagio´s Conservatory and Botanical Gardens, Wynn´s Lake of Dreams, and Mirage´s Volcano. 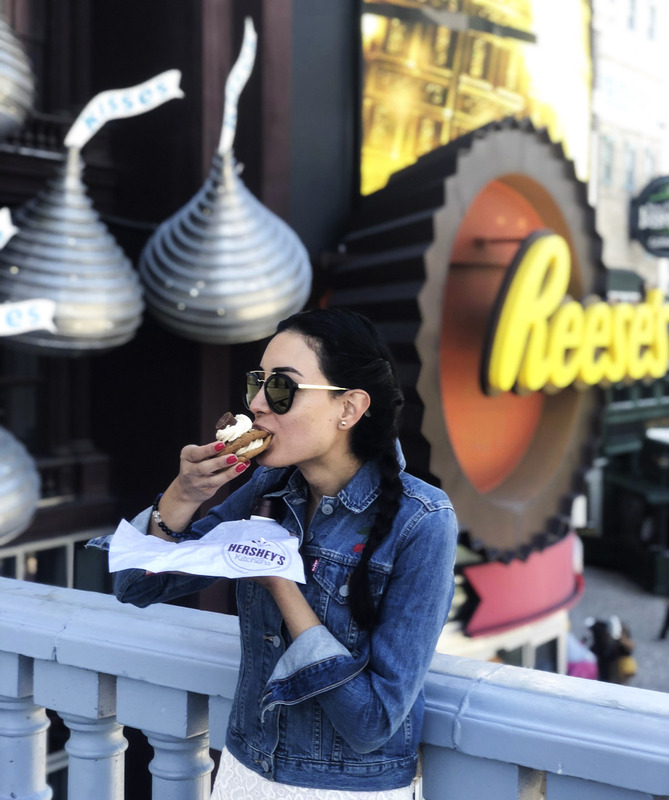 If you are a chocolate maniac 😀 make sure you go in two specific stores, Hershey´s World and M&M´s store. You get free samples every time you go in (and out! Haha), also can find special edition chocolates and every article imaginable from your favorite chocolate from the brand. After walking 15km touring around the hotels (our choice since there´s a monorail that takes you from one hotel to the other) we went back exhausted to our hotel, had a quick battery recharge and then headed out for dinner and the evenings main event, Tiësto in Hakkasan Club at the MGM Hotel. 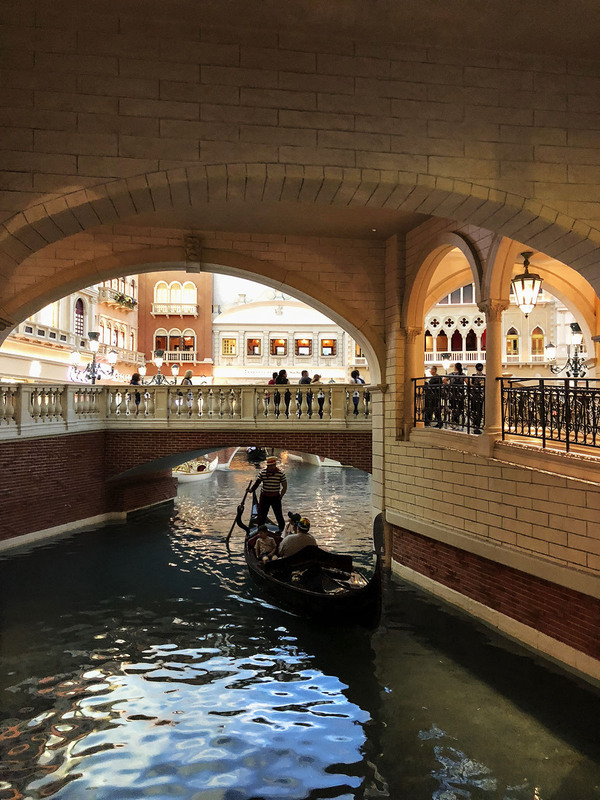 We had dinner at Trevi, an Italian restaurant just right next to the Fountain of the Gods at Forum Shops at Caesars Palace. Food was delicious! We had a beautifully grilled salmon with a very nice (but small) spinach salad, and the best linguine ai frutti di mare ever! Covered with a creamy seafood sauce and an abundant mix of lobster, shrimp, scallops, and mussels (My mouth is watering as I write this!). 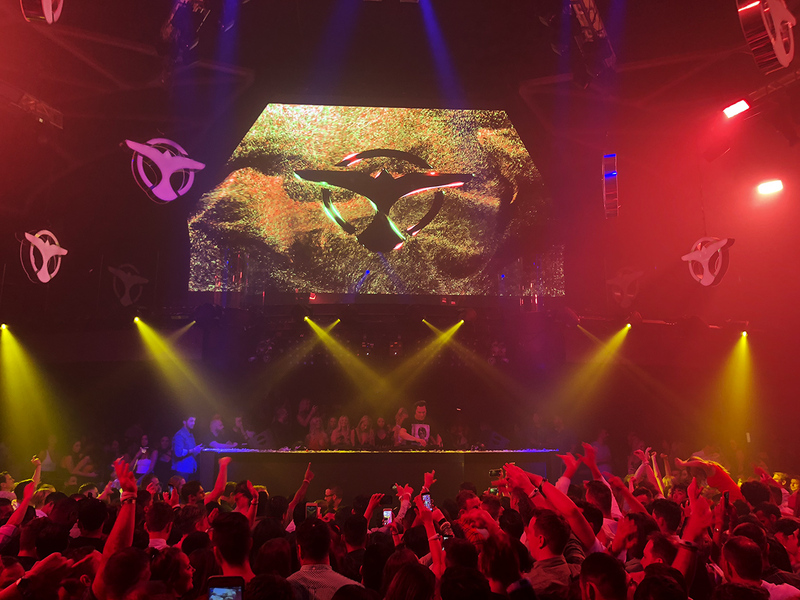 You mustn´t miss Tiësto if he is performing in Vegas. He really brings the house down! He´s an oldie but a goodie. 😀 It will be super crowded no doubt! But if you manage to go down to the dance floor right in front of the stage, as we did, you´ll have the best place to dance and catch a sight of the legendary DJ (Online presale is for ladies $25 and gents $40). Vienna Insider reporter on site. It is a tough job, but someone has to do it! After the pool party we ran for a quick and delicious lunch/dinner at Hotel Paris´ Yong Kang Street, at “China Town”. Service was very quick, which was awesome! We didn´t have much time because we had tickets for the show Mystere from Cirque Du Soleil. So it was no talk and just eat time! haha We had some barbecue pork over rice, a very tasty noodle soup with minced meat and barbeque pork on top, and a few steamed pork and vegetable dumplings (which were the best of it all!). 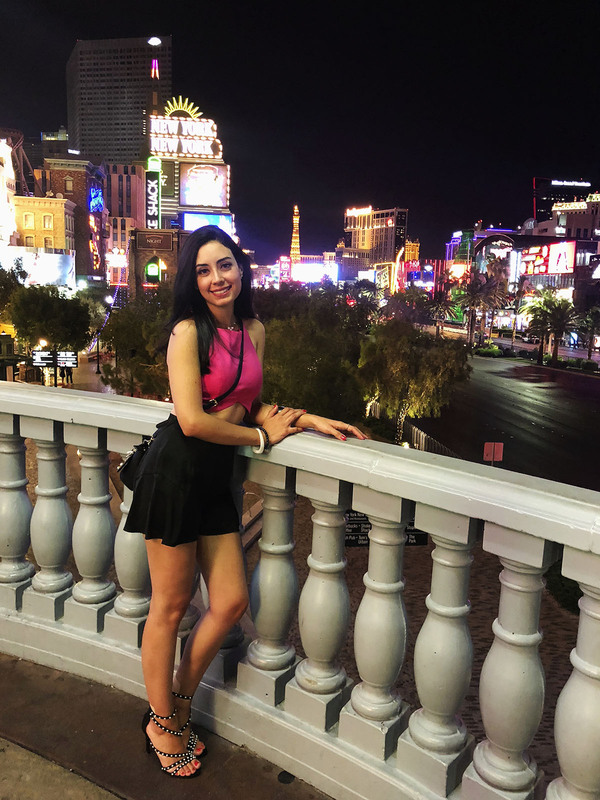 Vegas OOTD <3 Now seriously, how pretty is our bestie? Then we literally ran to a cab to get to the show at Treasure Island. Needless to mention that my feet were already killing me with the heels! (Girls, if you are wearing heels do consider that the distances between one hotel and the next one are quite considerable, so be prepared to have destroyed feet after that…). We made it a bit late, however we managed to get in easily and find our seats. The show was quite nice, but not the best one I´ve seen from Cirque Du Soleil. We chose this one because it was the one I hadn´t seen so far, but there are many more shows to choose from, either from Cirque Du Soleil or other companies. After that we had tickets for Zedd at Omnia, so after the show we went to our hotel for a quick break. Which turned out as a complete fail! I´m even embarrassed to tell you!… we were so tired from the previous days and a day under the sun at the pool party that we feel asleep! So we missed our chance to see another amazing party in Vegas. 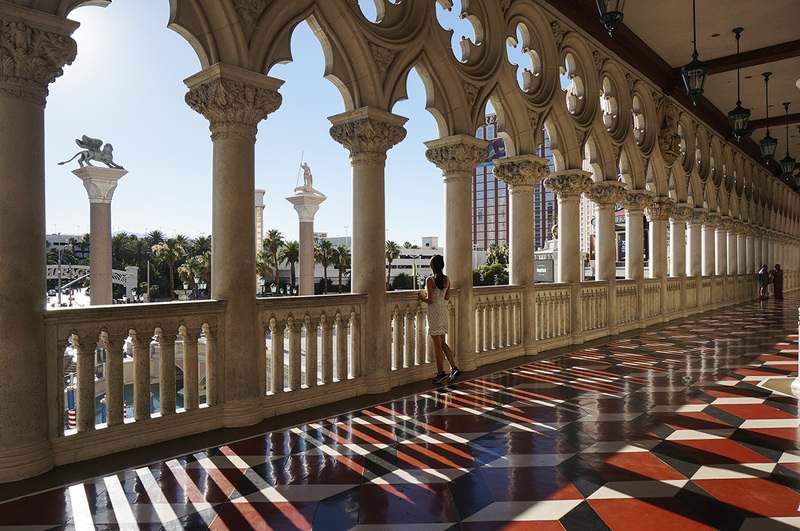 One more shot of the Venetian hotel. So gorgeous isn’t it? 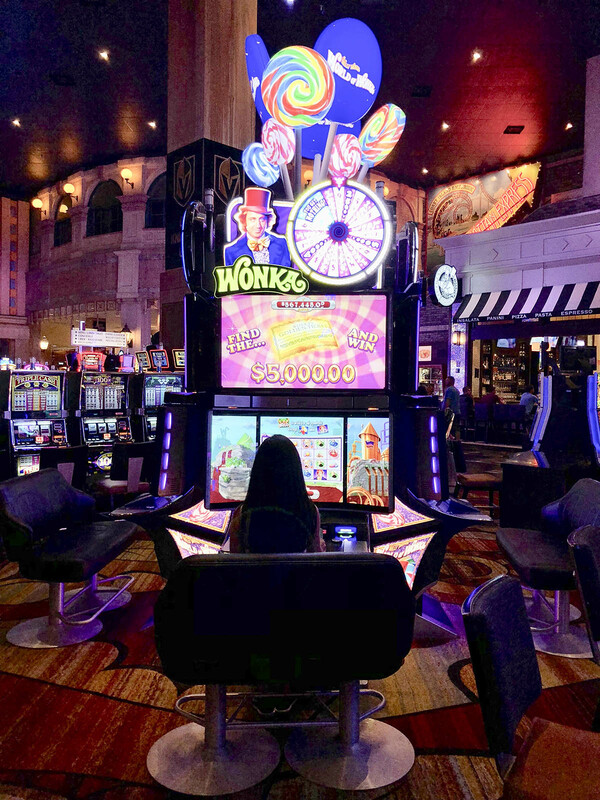 Las Vegas has entertainment for everyone! Groups of friends, couples, and even families (although I wouldn´t advice taking kids because they can still see lots of weird things happening on The Strip at night…). In terms of food it is a dream! You find all sorts of cuisines, from high end restaurants to street food. There are million choices! And although it´s great to have a list of recommendations, it is always best to try if it looks good. We had a bunch of recommendations by our friend Saskia, but unfortunately none of them were close to us, and when you are tight on time it´s not very practical to go to hotels that are not near to you location at a given time. But definitely I´m looking forward to trying all of them in my next visit, which hopefully will be a tad more chilled. Copyright notice: All the pictures featured in this post were taken by Sissi and Mr.H.